It was my mother who introduced me to this numminess that is known as chocolate wine. It happened on Christmas Eve, at her house. She was grinning like the Cheshire Cat. "C'mon. . .you have to try this," she whispered to me while the kids were occupied with their gifts. I saw the bottle of chocolate wine and thought, "ewwwwwwww. . ."
Doesn't it sound disgusting? Chocolate and red wine? They might be ok separately, but together? Let's just say I was hooked from the first sip. And a little worried about my mom who had four unopened bottles on the top of her cupboard. I went to my local liquor store and practically whispered apologetically, "Where is the chocolate wine?" because I figured it must be the least-cool product in the entire shop, given that my mother----the Beringers-Pink-Zinfandel drinker---had turned me on to it. Mais non. . .turns out even the young guy in the liquor store was excited about this and talked enthusiastically about the trio of flavors (Chocolate, Chocolate Espresso and Chocolate Raspbery) and the "whipped cream vodka" (wah?) I must try with it. 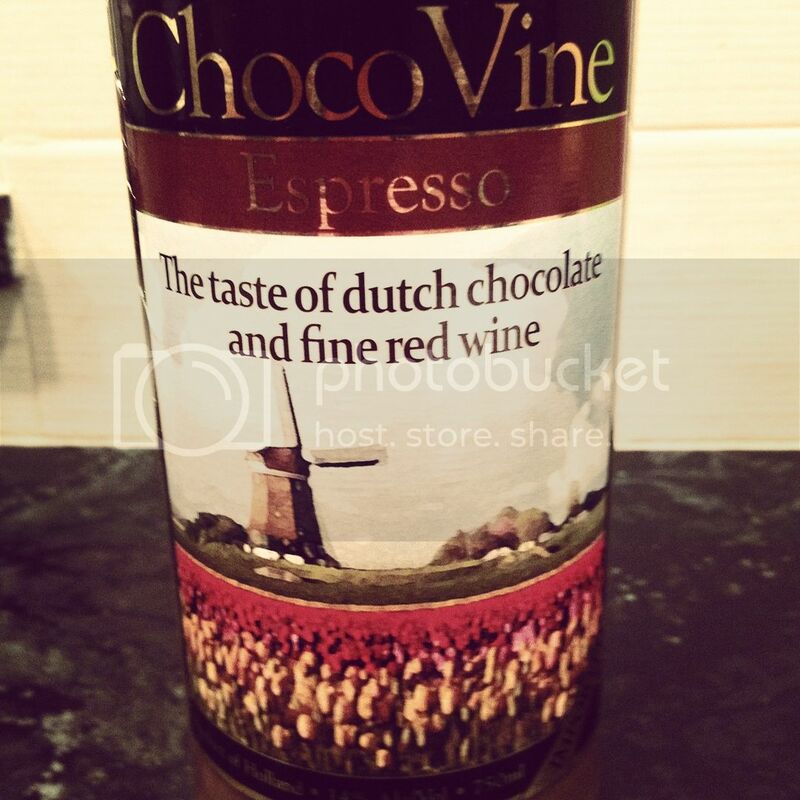 My favorite turns out to be Chocolate Espresso which is rich and lick-the-bottom-of-the-wine-glass yummy. Yes, I know I must look ridiculous. This is not a drink that makes you drink the bottle by yourself in one sitting (thank goodness)---it's a one-little-glass-to-unwind type of drink. And based on the number of people who have said, "OH! I love that! ", it is, indeed, hot. Thanks Mom! Now, about that Beringers. . .
Aw yeah. Going to pour a glass right now. Sounds like bliss! I've only ever had the overly thick and super-sweet chocolate liqueur, this sounds so much better! Hmmmm... I'm up to try any kind of wine or chocolate. BRING IT. Guess I'll be headed to the liquor store once it opens. I used to work for Chocovine's importer... use it like you would use Bailey's in cocktails. It's a lot cheaper and it tastes better! If the shoe fits. . .
Wordless Wednesday - Whoa, Pinterest! How to fall in love with winter. . .